Agree or Disagree: Calgary Transit is an effective form of commuting. 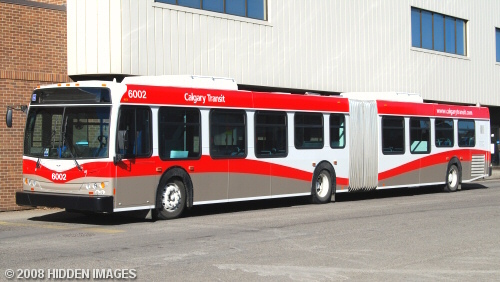 Starting on Monday, Calgary Transit’s new Spring Schedule starts. For more information on that, you can click here. Some of the angriest Tweets I have seen expressed by Calgarians is directed right on Calgary Transit. Whether they are behind, or there are delays, or someone actually missed a bus, you can read about it on Twitter. However, Calgary Transit has done a good job in communicating delays and updates as well. They will respond to your respectable questions as well. According to the feedback they have received on their own Calgary Transit experiences, the feedback they are getting is most people have a pleasant experience riding the bus or the C-Train. However, it is also interesting how those with a car, or have lived in other cities find the Transit in this city frustrating. What do you think of Calgary Transit? What is working? What frustrates you? Is it an effective form of commuting? Please note: I don’t work or represent Calgary Transit in any way. I’m just asking questions. This entry was posted in Alberta, Calgary and tagged #yyccc, Agree or Disagree, Bus, Calgary, Calgary Transit, Commute, Effective, Service, yyc. Bookmark the permalink. Agree or Disagree: Social Media wins elections. Given the lower density and urban sprawl (lower tax base per square kilometer) it doesn’t surprise me that we don’t have more buses and routes like other higher density cities. Is Calgary Transit effective in getting people from point A to Point B? I think it depends on where you are. Some industrial parks have the worst access! Over the years I rely on transit as part of a hybrid bike/transit(mostly c-train) commute. I think for the funds the city does have that our transit isn’t all that bad.